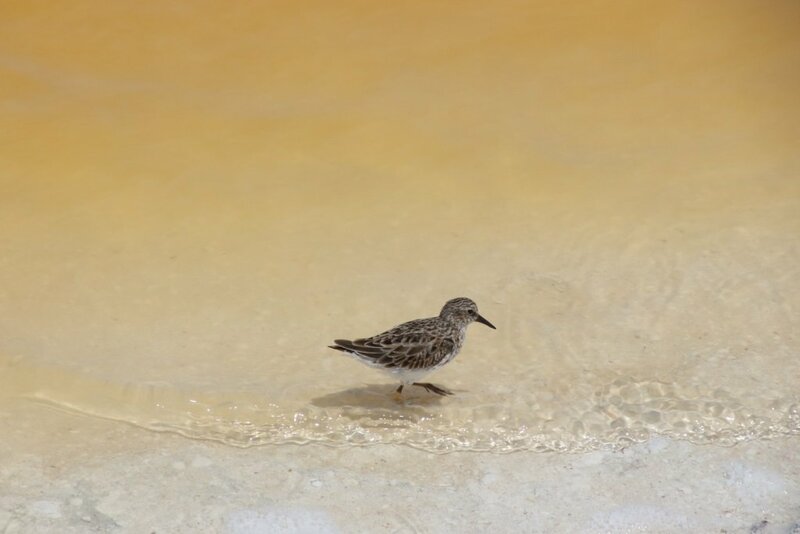 With almost 400 species of birds Rio Lagartos Biosphere Reserve in the province Yucatan in Mexico is a walhalla for bird watchers. 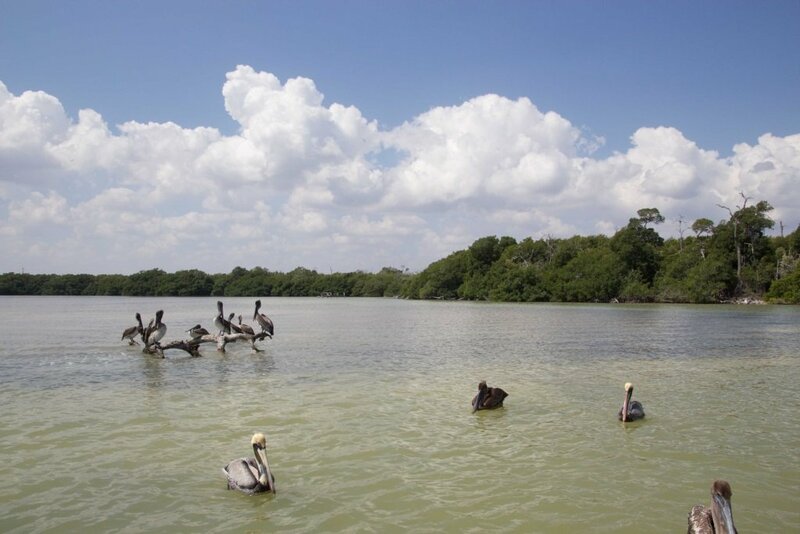 The mangrove forest meets the Gulf of Mexico and here the sweet river water mixes with the salt ocean water. 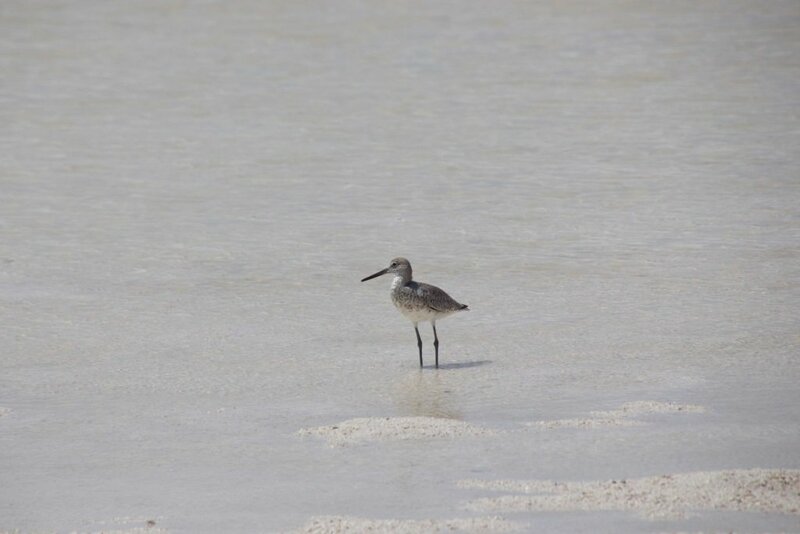 There for this 150,000 acres protected area has a great vary of animals and birds. The most people come here to spot the bright pink flamingo’s and huge crocodiles. 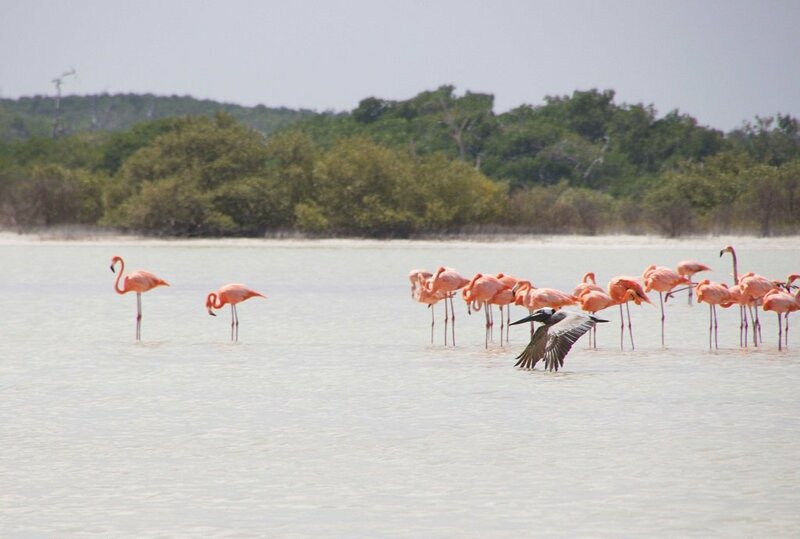 In combination with the pink lakes of Las Coloradas, this area is a very nice day trip from Playa del Carmen or Cancun. 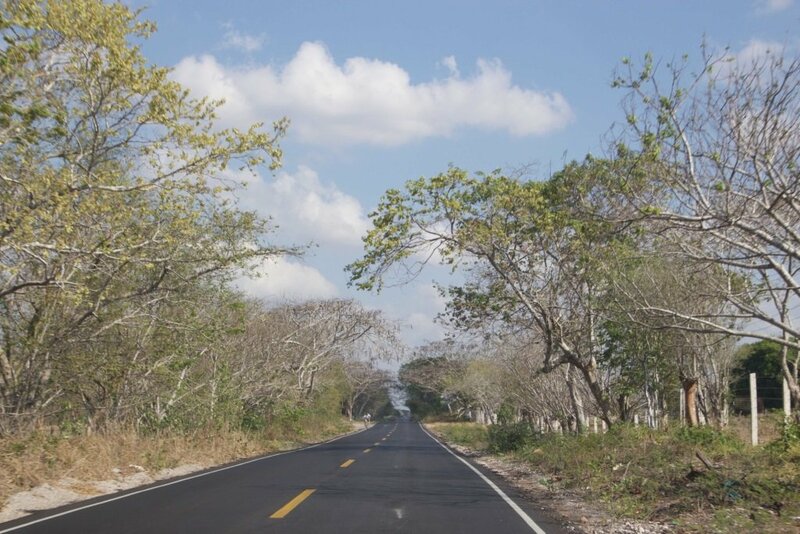 Me and my husband Timo did a day trip from Valladolid which is only a 2 hour car ride. We made a combination with Maya ruins Ek Balam, which is only half an hour ride from Valladolid and on the way to Rio Lagartos. 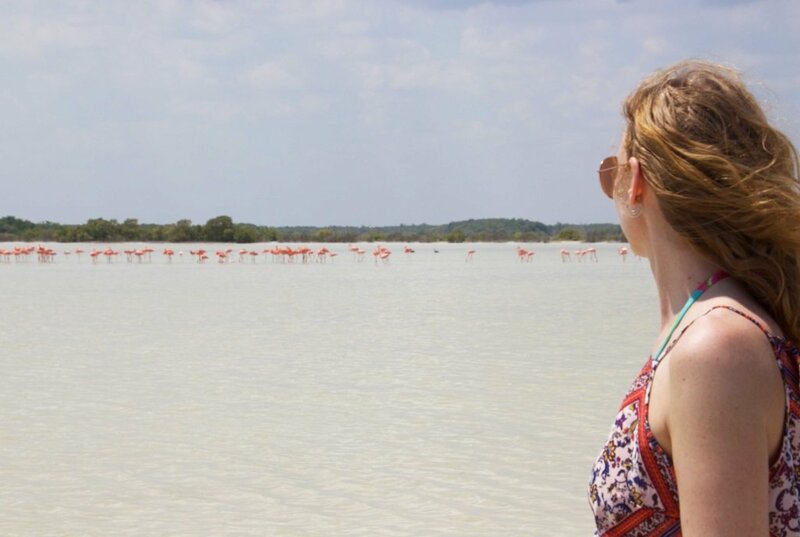 Our main goal on this day trip was to see as much pink as we could; Flamingo’s and pink lakes. With our rental car we arrived around 10 AM in fishing village Rio Lagartos. Colorful houses and a restaurant here and there. Along the road next to the water where there where boats waiting for customers to take them on a trip, we parked our car. As soon as we stepped out of our car, we’ve got approached by Juan. 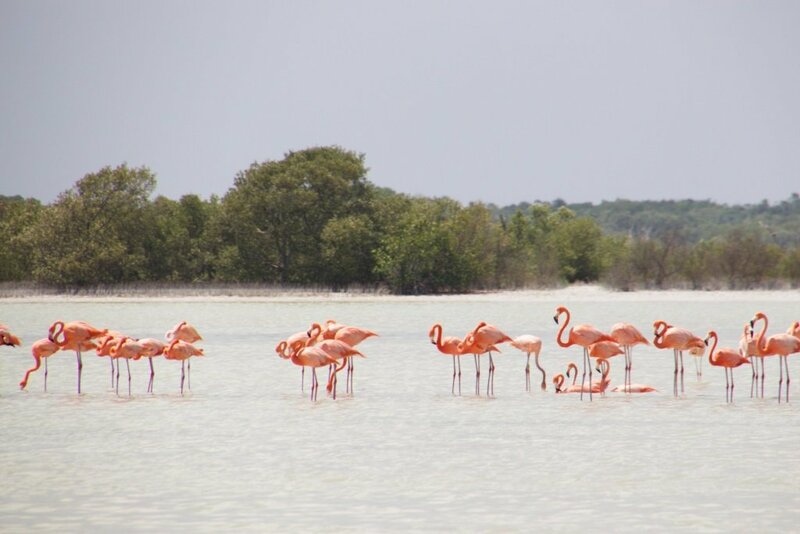 In my little Spanish we agreed on a price to take us into the mangroves and show us Flamingo’s and Las Coloradas. The price was with 1000 Pesos not very cheap, but keep in mind you can go on a boat with 6 people. As it was Easter weekend, it was already crowded with Mexican families. We decided we didn’t want to wait for other people to join us. Juan seemed an old and friendly man who has experience in this area. Soon we set of with high speed. Pelicans and other birds were flying high up in the sky. 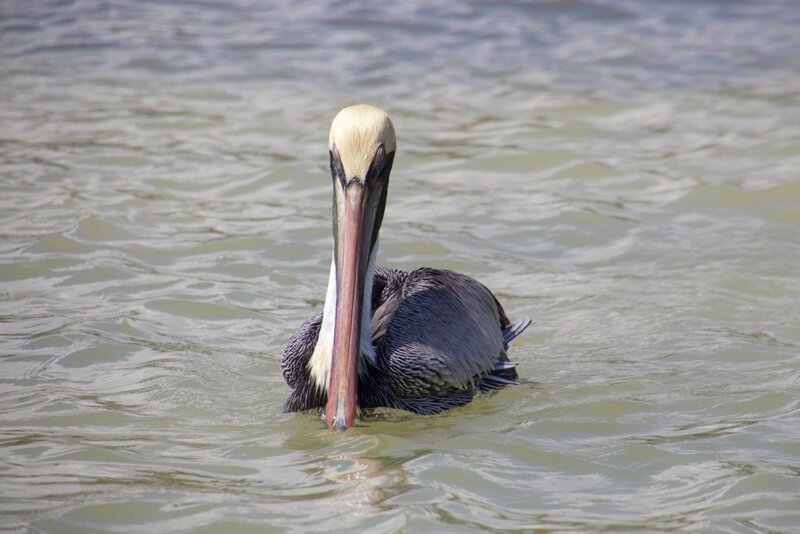 We saw herons, cormorants and more pelicans. 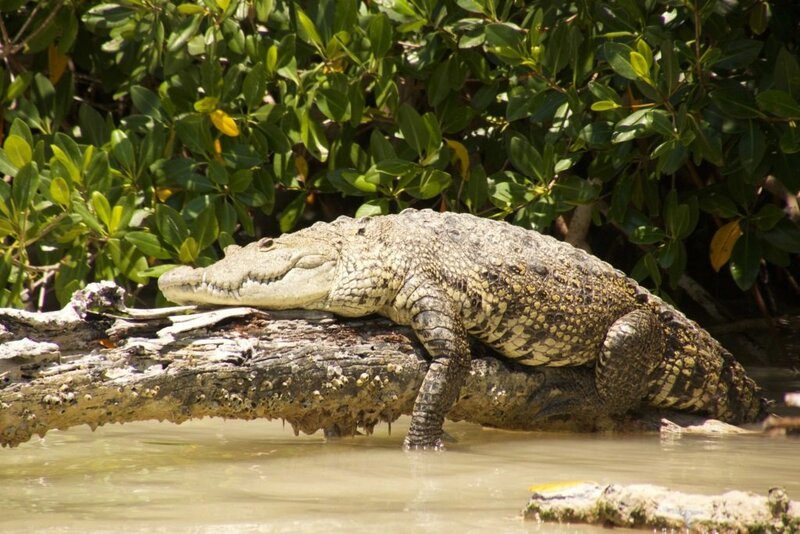 A huge crocodile was sunbathing. Juan was trying his best to explain more about the area. The sound of the engine and my bad Spanish didn’t help much. We just enjoyed the surroundings and the boat ride. 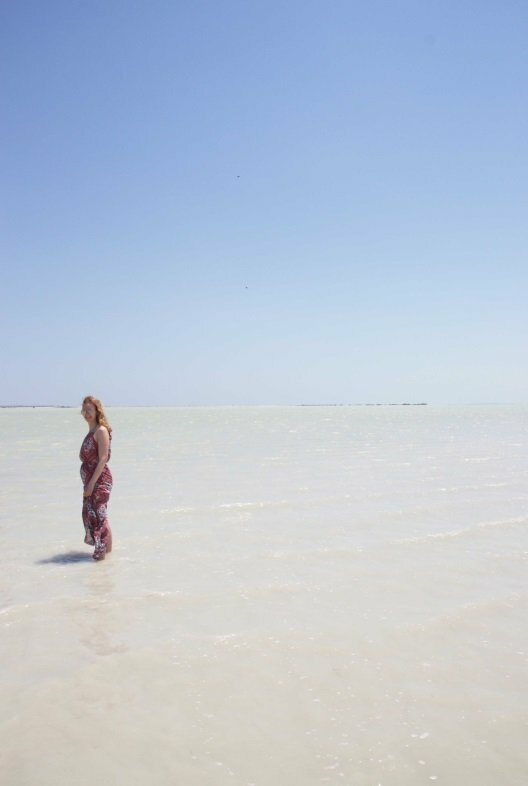 Soon we saw the place where there should be the Las Coloradas; Pink lakes. Fishing isn’t the only industry in this area. 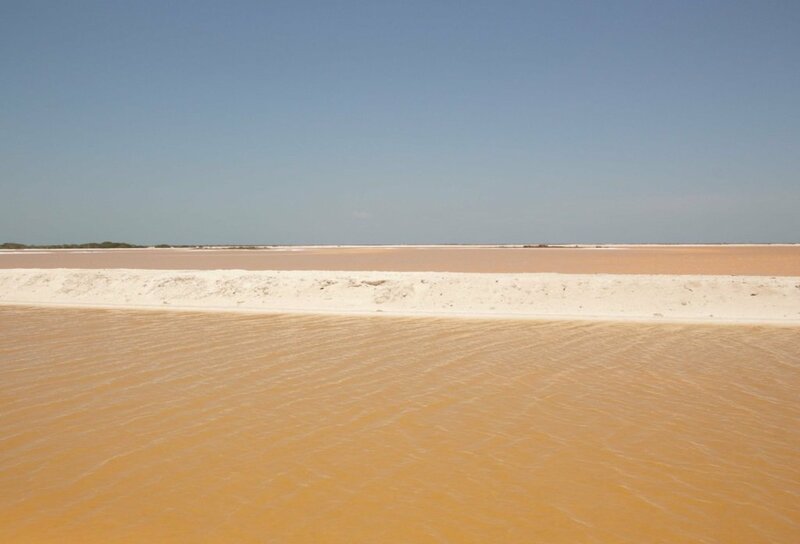 Salt production is another one. 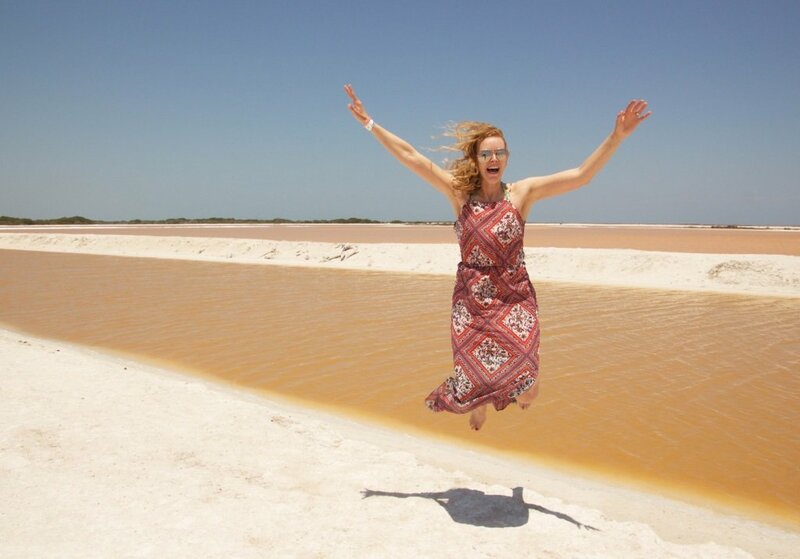 The salt water of the Gulf of Mexico floats inside the Las Coloradas. This area is made by hand and creates huge but shallow lagunes. The water evaporates, which only left the salt. The salt will be collected by big machines and finally distributed. 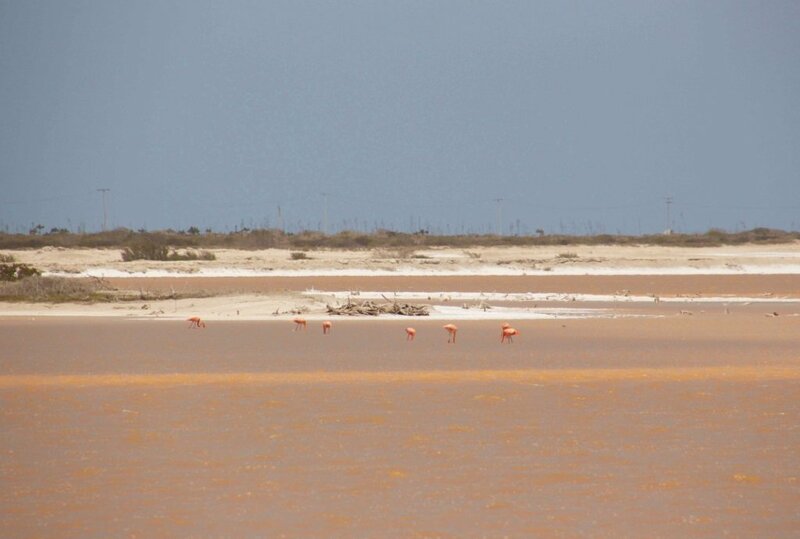 Las Coloradas has very salt water and has a high concentration of shrimp, pink algae and minerals. When the sun is on highest point and the wind is not too strong the reflection will give the pink color of the lake. 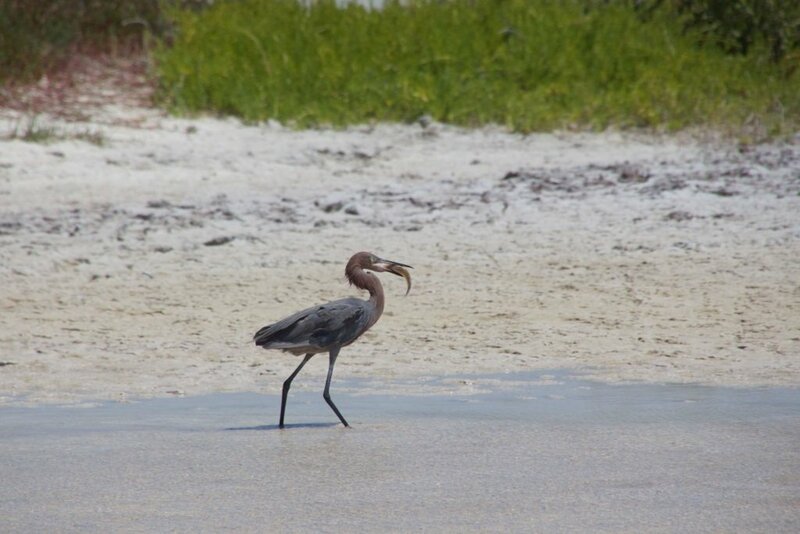 Flamingo’s will eat the shrimp, which gives the flamingo’s the bright pink color. You can find flamingo’s in and around the pink lakes. Depending on the state of the sun, the lakes are changing colors. Juan explains for the bright pink color we were a little to early. Around noon should be the best pink color. For us it was a surprise when we finally saw the lakes, they appear not to be pink but a more orange color. This was also a very nice scenery! In distance we could see the color was changing and it had more of a pink glimpse. Even we didn’t expect it to be this color, we liked it. There was a guard who made sure you are not entering the water. Since 2016 it is forbidden to enter the water and float in the lakes. Now we could only have a look. 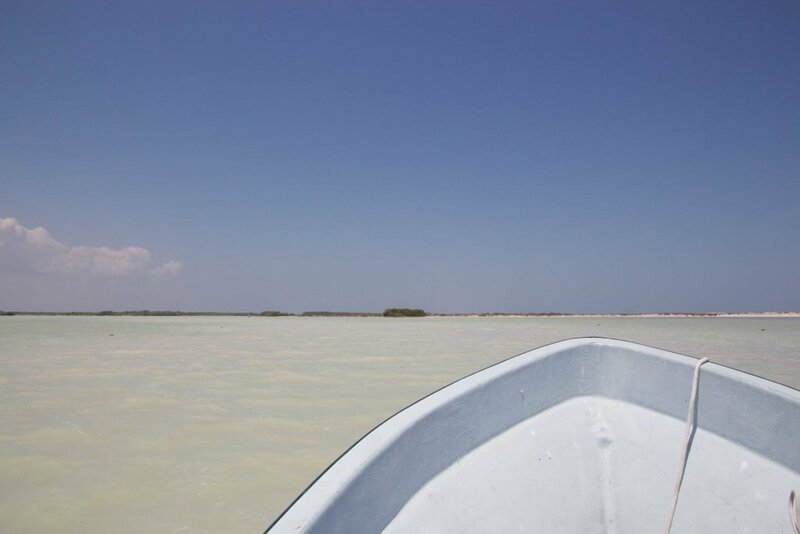 Our guide Juan maneuvered the boat in the shallow waters to a place so we could have a closer look of the flamingo’s. From a distance we could see the pink, which was a nice reflection to the white and green of the surroundings. We went for anchor close to an elevation of sand and clay. Here we could leave the boat and we assumed we would take some pics from the monticule. Juan was just as enthusiastic as we were and suggested we could take a short walk. 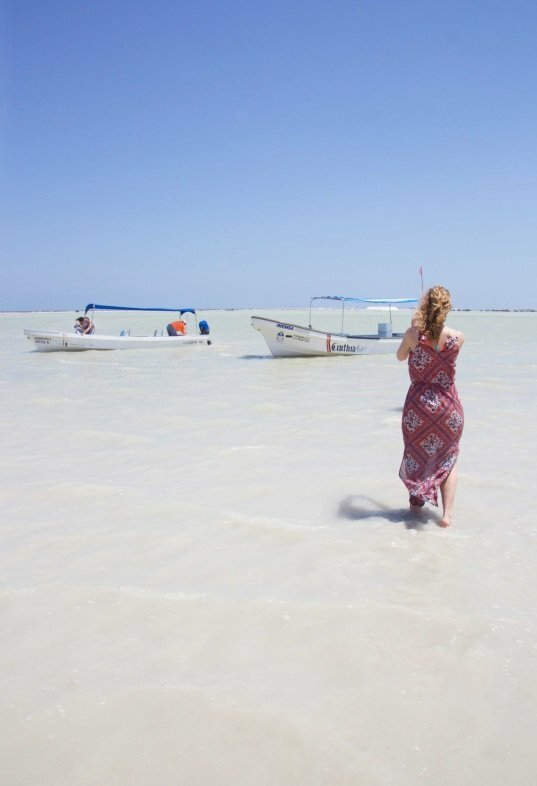 Bare footed we start walking in the shallow water and clay ground. 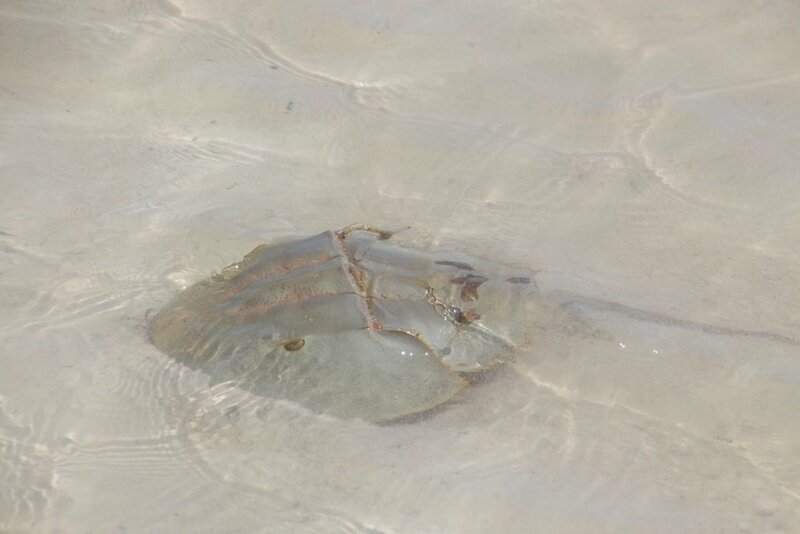 In the water we saw dough crab and shells with its inhabitants. The nature was beautiful and we could see the flamingo’s were getting closer. After a short 10 minute walk, we had a clear view from the flamingo’s. Those elegant birds were having a shrimp dinner. What a lovely view! 1000 Pesos for the boat up to 6 people. The water is shallow, so 4 people will be best. Rio LagartosCalle 9 next to the harbor. People will approach you for a tour. Go with the person you feel most comfortable. You can park the car in the same street. Our guide told us it is best to come around noon. There will be no food available after you entered the boat. Take enough water and food with you. Afterwards you can have a nice meal in one of the restaurants.